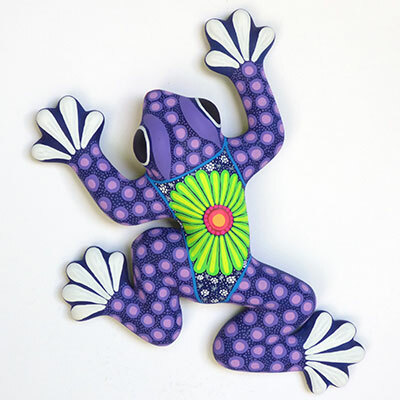 Click here for the frogs or here for the salamanders. 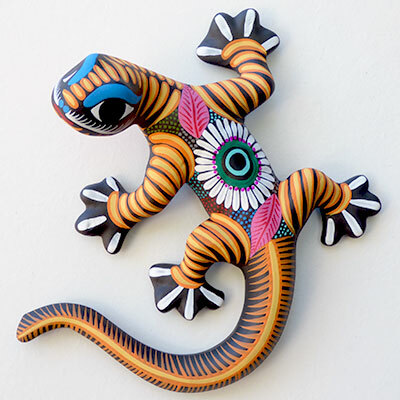 Guanajuato is a beautiful mountain colonial town in central Mexico northwest of Mexico City. 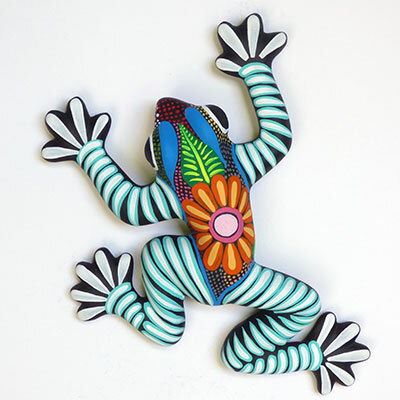 The name of the city means "Place of Frogs" in the local Tarascan indigenous language and the frog is the city's official pet. 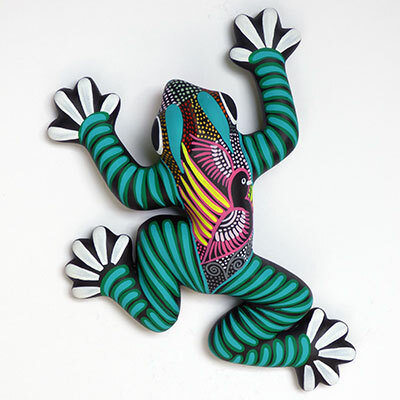 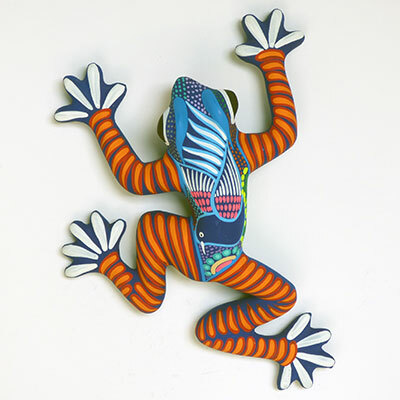 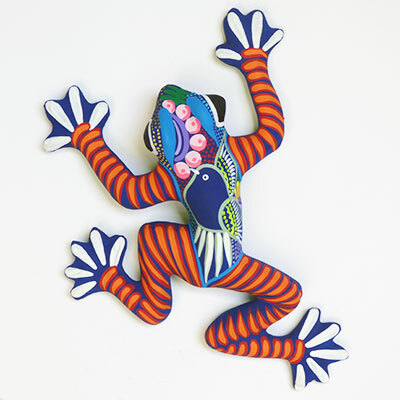 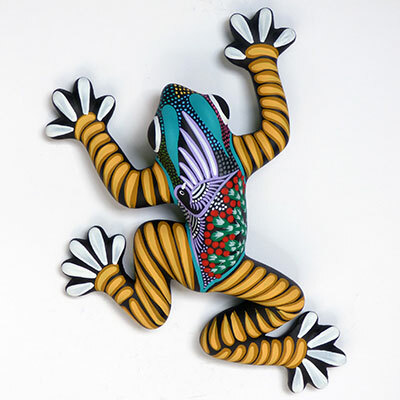 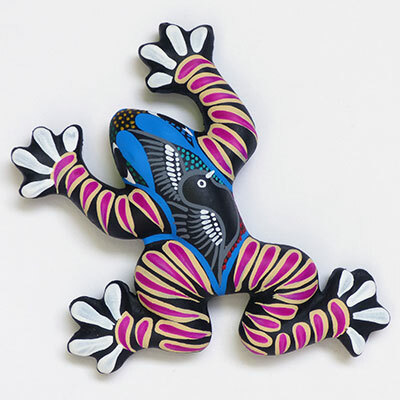 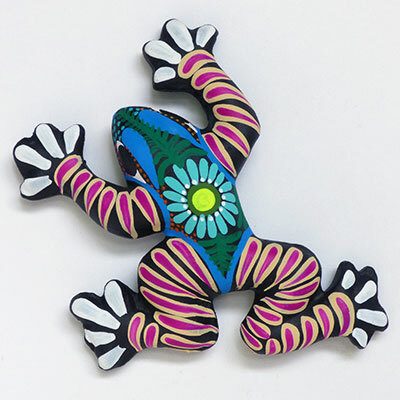 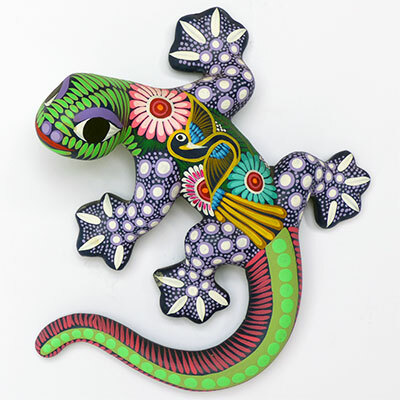 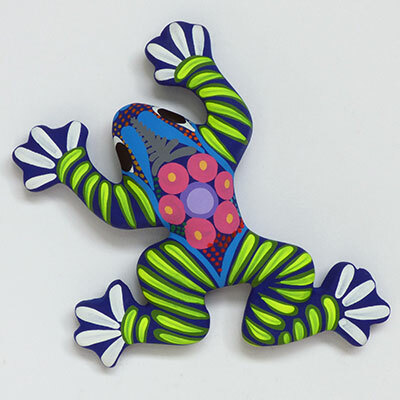 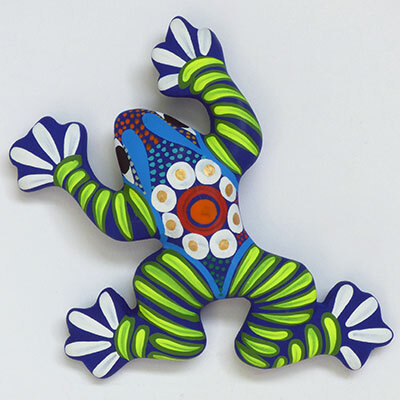 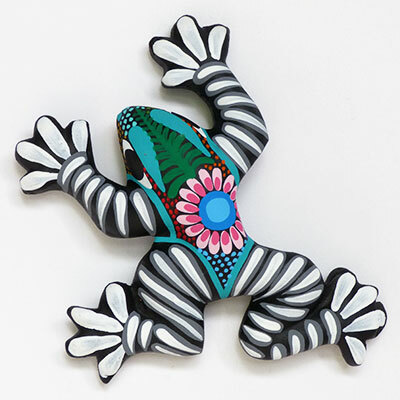 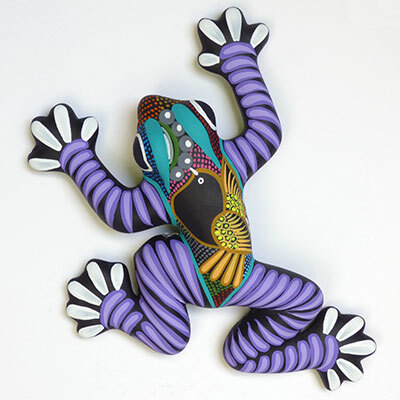 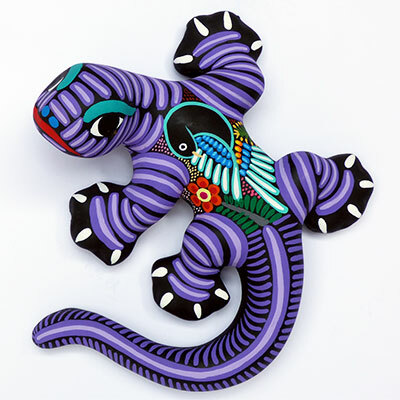 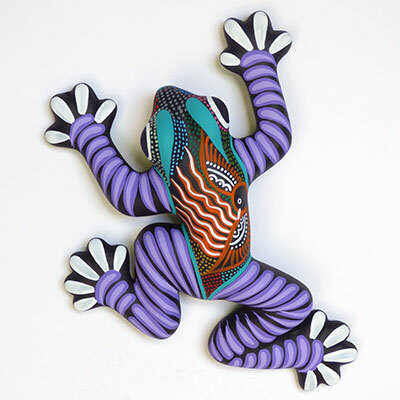 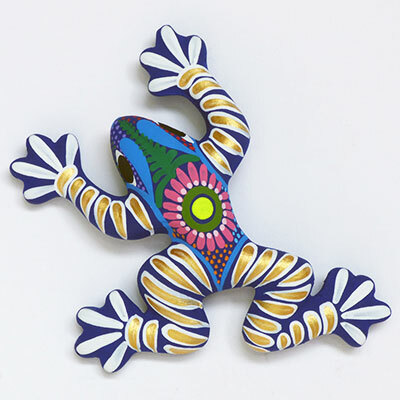 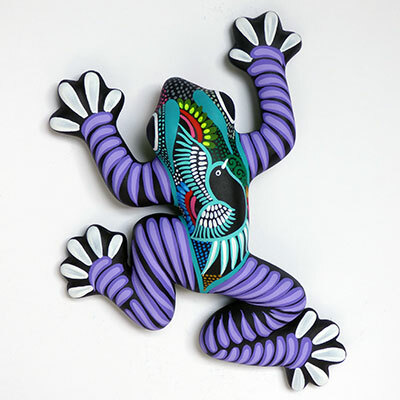 These wall mounted ceramic frogs are painstakingly hand-painted in brilliant, velvety, high contrast tones. They're stunning to look at and cost next to nothing to feed. 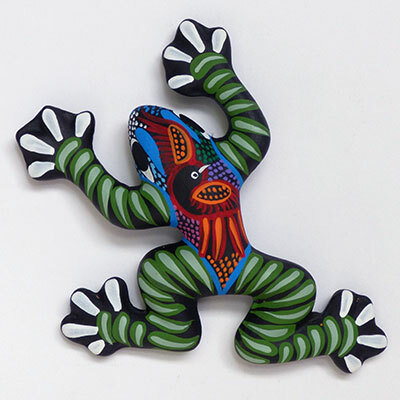 Click on a frog to enlarge the image. 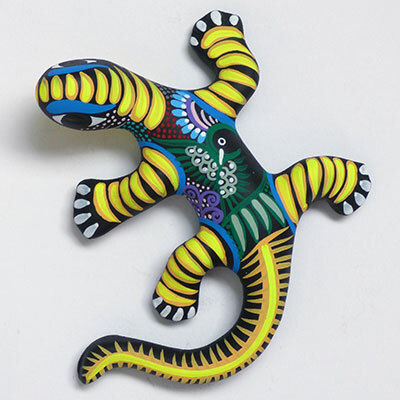 Salamanders have long been important in the folklore and mythology of many different countries around the world. 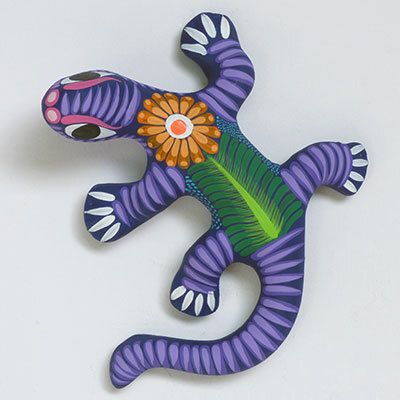 Fantastic powers have been attributed to them throughout the ages and they are still held in high esteem in Mexico. 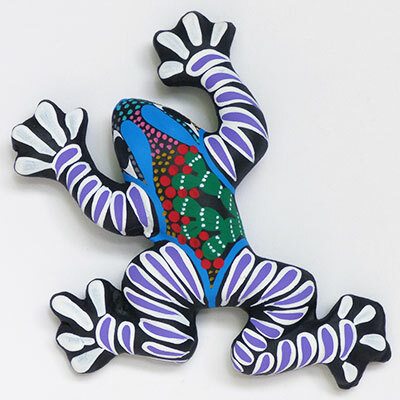 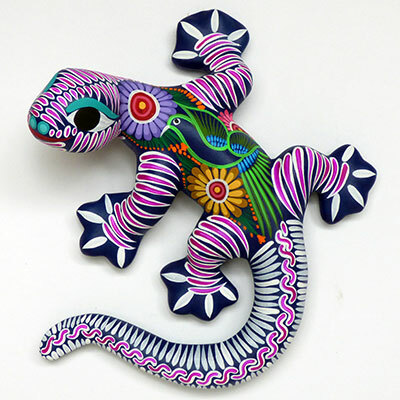 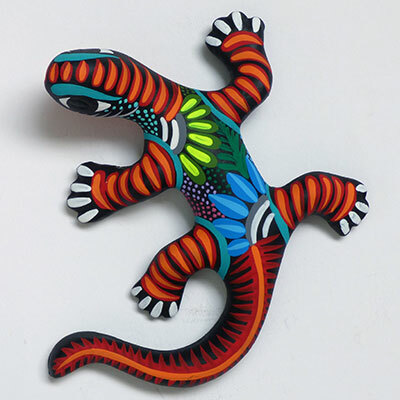 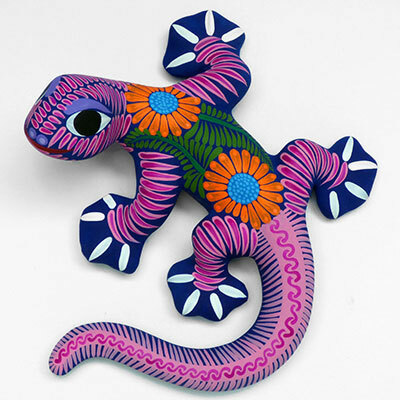 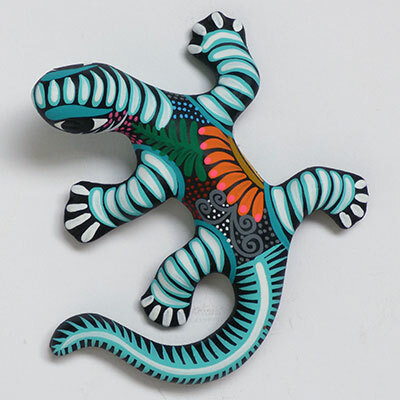 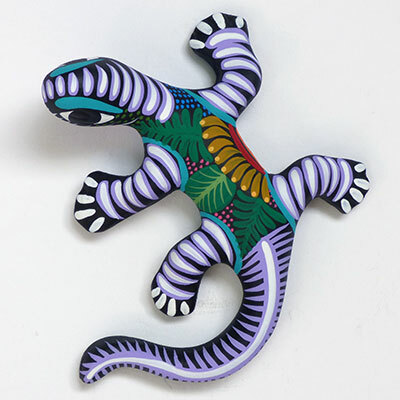 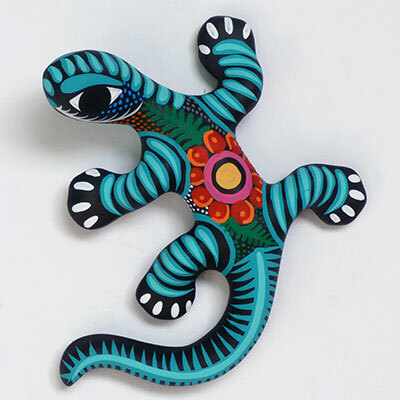 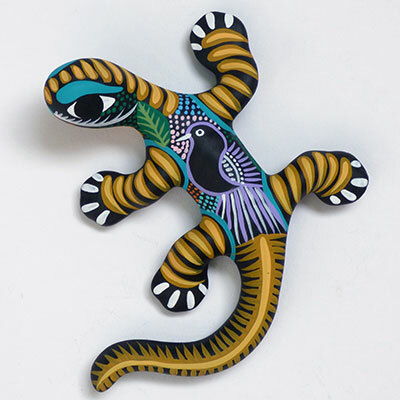 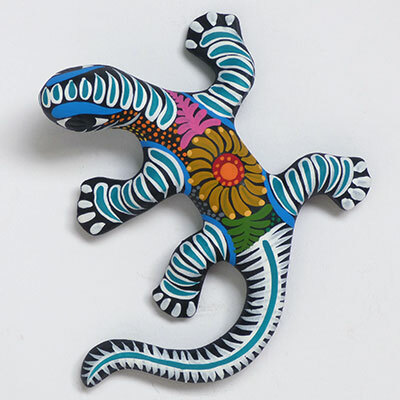 As with the frogs above, these wall mounted ceramic salamanders are intricately hand-painted in bold, velvety tones and make superb low-maintenance pets. 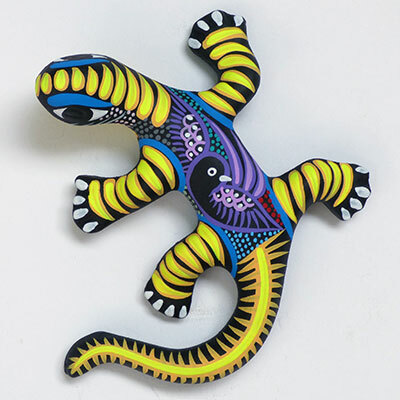 Click on a salamander to enlarge the image. 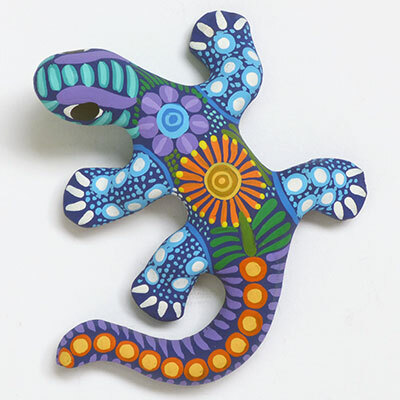 The Mexican Hammock Company provides a regular source of income to many small rural communities in southern Mexico. 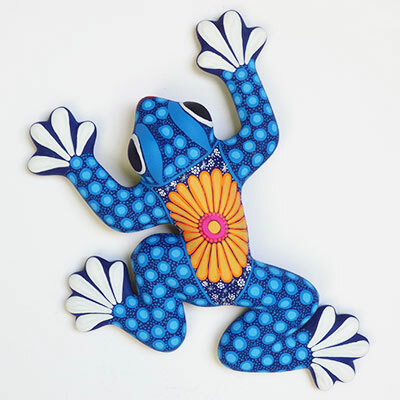 The provision of a local income and investment in small-scale local enterprise often alleviates the necessity for younger people to move away from their families and friends to high population centres in search of employment. 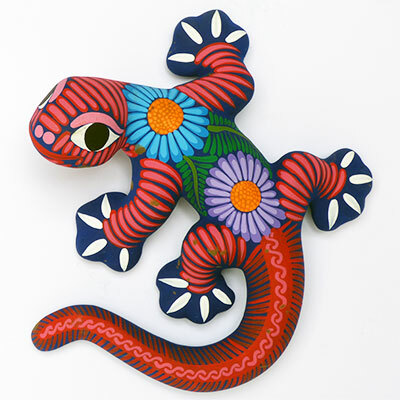 The net effect is often a strengthening of the rural community and stimulation of the local economy.